Is it possible to move DVD movies from physical disc and play on Surface 2 and Surface Pro 2 as well since these two newly released portable tablets are improved on storage and memory for more movies enjoyment? 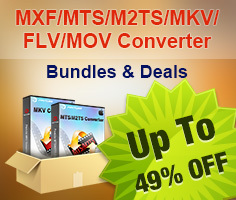 Of course it is possible only if own the powerful DVD to Surface Converter for ripping your DVD movies to Surface 2/Pro 2 compatible MP4 format and movie transferring. This DVD ripper for Surface 2/Pro 2 is specially designed for users to backup and rip DVD from physical discs to computer hard drive or portable devices including Surface 2/Pro 2 for movie watching. 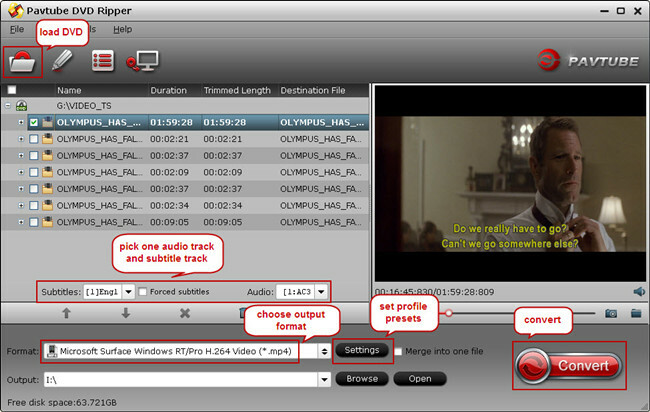 In addition, you are allowed to trim, crop, add watermarks and effect, attach external subtitles to source media before ripping your DVDs. Guide: How to convert and put DVD movies on Surface 2/Pro 2 on Windows/Mac? Free download the Surface 2/Pro 2 DVD Ripper, install and launch it. Click on the button “Load disc” to import source disc from your disc drive to the app. Select the optimized profile from “Format” menu for output. You are suggested to choose “Windows” > “Microsoft Surface Windows RT/Pro H.264 Video (*.mp4)” as output format for your Surface 2/Pro 2. 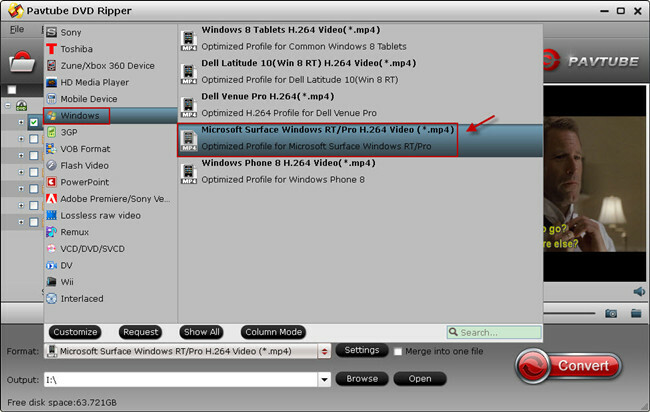 Tip: If you cannot find the suitable profile for your device or you would like to adjust profile presets to get the optimized profile for extracting DVD movies, enter “Settings” tab and set Codec, Size, Bitrate, Framerate, etc to get better video and audio playback. Hit the big button “Convert” on program UI to start DVD to Surface 2/Pro 2 conversion and when the conversion is done, click the “Open” icon to get the ripped MP4 file. Now you are ready to move DVD movies to Surface 2/Pro. More methods to move videos, pictures and files to Microsoft Surface are available at Synchronizing Media Contents to Your Microsoft Surface.